So tell me what do you think of this Santa Avatr shown below for me to add it on my profile? Or, do you still prefer me to leave the same old Santa avatar that is right now? That Santa doesn't look very jolly. How about these? But of course you can use whatever you think looks good. Those Santa avatars look good, but I need to reduce the size of these avatars. BTW, I'm on Halloween board chatting with Pumpkin_Man right now. Love santas and sleighs for some reason yours are nice also. Come on, it's not THAT big. That avatar, for those curious, is from the NORAD Santa site. When you try to access Santa's Christmas Eve route on either Christmas Day or the days after, you get that photo saying "Shhh! 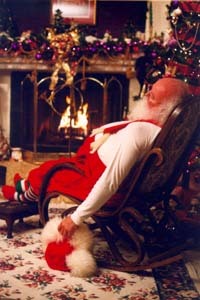 Santa is sleeping! Santa is taking a much needed rest from his long journey around the world. Merry Christmas and Happy New Year!". Ok I want the Santa Avatar thing. Guess I'll have to go get the kids to help me figure that stuff out. I want the one that makes him look especially soft and real, not like a drawing or cartoon! 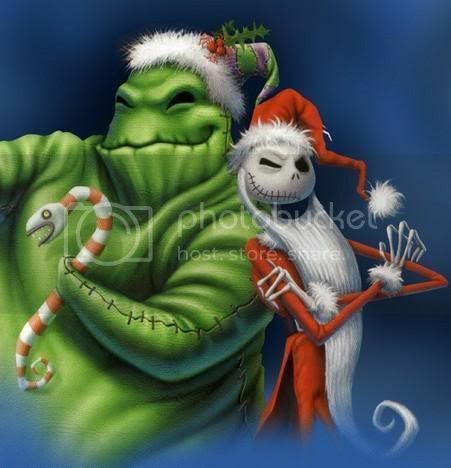 Guess maybe I need to change my own avatar to "The Nightmare Before Christmas" if that is cool idea? these santa's are nice so real like i enjoy seeing them as i can't do graphics at the moment my computer is down i got a virus through facebook so my computer guy has it he said i'll have it back later today with a better security system in it,i'm using his for now. ANGELPUGS wrote: these santa's are nice so real like i enjoy seeing them as i can't do graphics at the moment my computer is down i got a virus through facebook so my computer guy has it he said i'll have it back later today with a better security system in it,i'm using his for now. Ok, sorry to hear about that... I hate virus in the computer, but I am doing fine with my computer because I am using McAfee security system. How do you make your avatar on yahoo answers? I barley joined and i wanna change the photo. I want to design my own avatar instead of uploading a picture. Please help. I already tried my activty then went to:edit my prefercences.